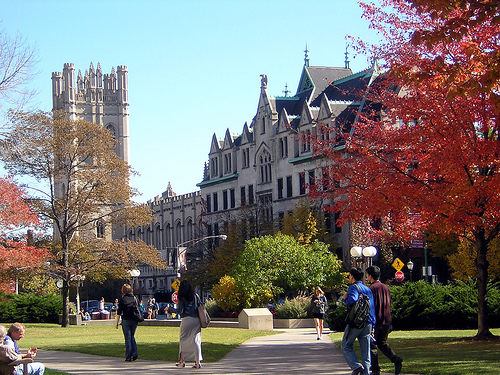 Access to higher education is a right, not a privilege. It is time for change, people. We need to move away from the status quo. The state of the union, as it stands right now, simply isn’t working for most of us. “Most of us” are the Middle Class in America, a class that is still reeling from the aftershocks of the largest economic crisis since The Great Depression of 1929. 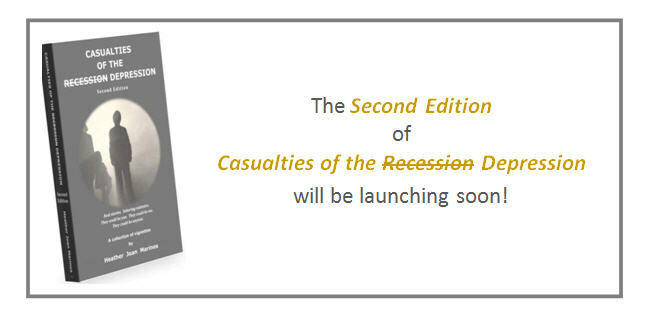 In the upcoming second edition of my book, Casualties of the (Recession) Depression, I address all of the socio-economic problems still facing this country – years after the so-called “Great Recession” supposedly ended. But with every problem, there is a solution. It all starts with the economy. We need to stop outsourcing work to other countries and support our own workforce. We need to raise the minimum wage. Healthcare and education should not be considered privileges awarded to only those who can afford them. They are basic rights that we, each of us, should expect to have access to…. without losing the shirt off our backs. The upcoming presidential election will give the American people the opportunity to effect real change. I hope that they will vote intelligently, and not emotionally. I also hope that people will do their research. This is an important election. Apathy is not an option. Plan B. Why we should always have one handy. Of course, in reality it’s not always that simple. When we shrug our shoulders and “let the chips fall where they may” – without any forethought or plan – we can’t really control the consequences. This is reactive thinking. And, nine out of ten times, we always regret not having planned ahead. We are human. We make mistakes. We play the odds and miscalculate the results. Sometimes, our innate optimism clouds our thinking and we realize it only too late. And then the unimaginable suddenly becomes very imaginable, very real. This happened to many middle-class men and women who were unprepared for such a severe and prolonged economic downturn. Jobs were downsized or eliminated. Savings dwindled. Credit card debt soared. Health insurance policies were suspended. Homes foreclosed. Food became a luxury. In hindsight, what could we have done to prevent this from happening? None of us expected this economic crisis to last so long, but it did. That was out of our control. (1) Jobs. No job (full-time, part-time, or consultant) is secure. Even a loyal employee, working 25 years in the same company, can get a pink slip…. just like that. It’s important to keep skills honed, stay educated, and cultivate multiple optional career paths/opportunities. When we have back-up options, we are able to counteract the fallout from job loss. (3) Credit Cards. Ideally, we should only use debit cards. Credit cards should be used only on the condition that we pay them off (in full) each month. If we can’t do that, we are buying trouble by digging ourselves into debt. Stay in the black, not the red. (4) A Roof Over Our Head. Here’s the unsettling reality: if we have a mortgage, we don’t own our home. The bank does. If we can’t pay the mortgage, the bank will take “our home” away from us. We own our home only when we’ve paid the entire loan off. This usually tales years, even decades. The good news is that eventually, we do own our home outright… if we play our cards right. Here’s the caveat: if we choose to get a second mortgage or an equity loan because we want to add a room or renovate a kitchen, then we drive ourselves deeper into debt… making that dream of full home ownership a more distant reality. (5) Food. Eat wisely. Don’t waste. Be sustainable. 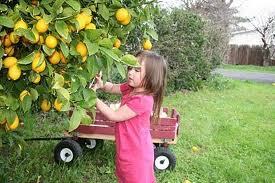 Buy fruit trees and grow vegetables… then there will always be food – even when money is scarce. If we follow this simple advice, we may not overcome all of our problems, but we will definitely be on a stronger footing. 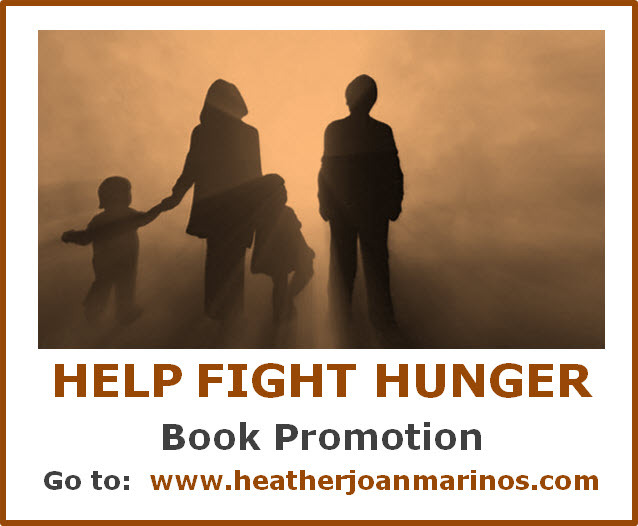 From Aug 14-Sept 7, purchase a copy of Casualties of the (Recession) Depression, and for every $20 book purchased directly from me, through my website, I will be donating $5 from the proceeds of each book sale to either: Feeding America (US), Action Against Hunger (Canada), or The World Food Programme (Global). The purchaser chooses one of the three. As I’ve stated before and clearly state on my website, this promotion does not apply to books purchased from third party distributors, such as Amazon or Barnes & Noble. 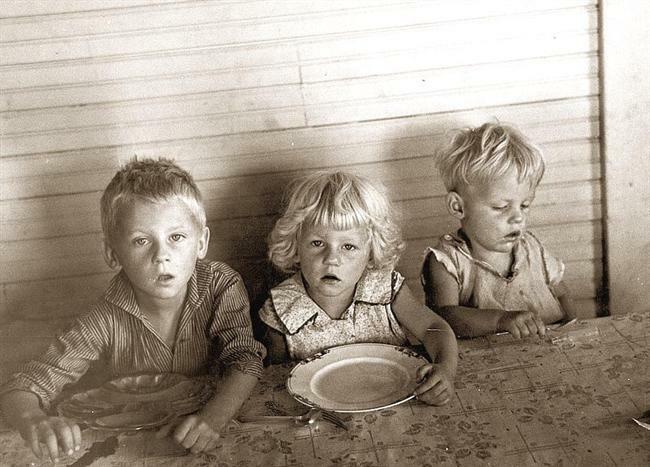 Unless one’s heart is made of stone, most can agree that the reality of child hunger is a heartbreaking and very unpalatable pill to swallow. Human existence is cyclical. We begin life as children who depend on parents or family members for our food, our living conditions, and our sense of well-being and worth. 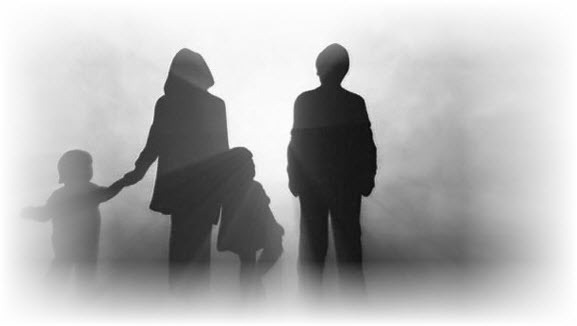 As we move towards the last chapter of our lives, our health and frailty make it impossible to survive without depending on our children, family members, or community − for our food, our living conditions, and our sense of well-being and continued worth. The golden years are supposed to be a time in life when we, who have worked so hard and who have taken care of so many, earn the right to kick back, relax and enjoy the company of loving family and friends, as they surround us with their affection and care. Sadly, this is not everyone’s reality. 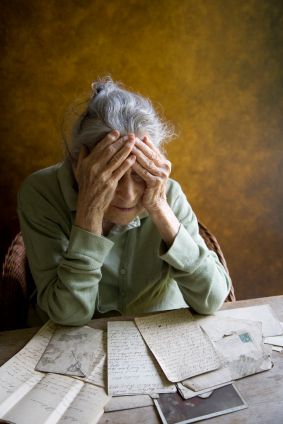 Many seniors are left to cope alone. Many have to juggle with decisions like whether to eat or pay the utility bills, whether to eat or pay for medication, and whether to eat or pay the rent. As I mentioned earlier, human existence is cyclical. Unless one’s heart is made of stone, most can agree that the reality of senior hunger is a heartbreaking and very unpalatable pill to swallow. I’ll leave you with some sobering statistics, cited by the folks at Feeding America. Next week, I will be taking a virtual hunger tour around the world because, as we all know, hunger has no geographic boundaries. 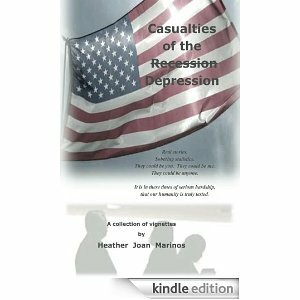 From Aug 14-Sept 7, purchase a copy of Casualties of the (Recession) Depression, and for every $20 book purchased directly from my website, I will be donating $5 from the proceeds of each book sale to either: Feeding America (US), Action Against Hunger (Canada), or The World Food Programme (Global). The purchaser chooses one of the three. Image (at the very top) via mycarforcharity.com. “They thought that attending the baptism of their friend’s baby daughter would be a welcome and much-needed distraction. 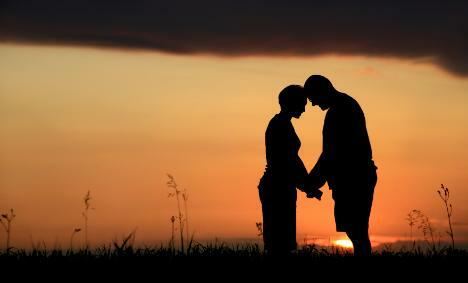 For one afternoon, they could put all their troubles aside and partake in a joyous and blessed occasion. In the last two years, life had been spiraling out of control. Food and money were scarce. They had lost their car. They had nearly lost their home. They needed something to grasp on to. They needed a little hope. And so, they thought that participating in a young child’s first Sacrament would remind them of all things good — purity, innocence, new beginnings… Faith. They exchanged pleasantries and names. The driver’s name was Mohammed. He was from Pakistan and had come to America to make a better life for his siblings, wife and children. He hadn’t always been a taxi driver. 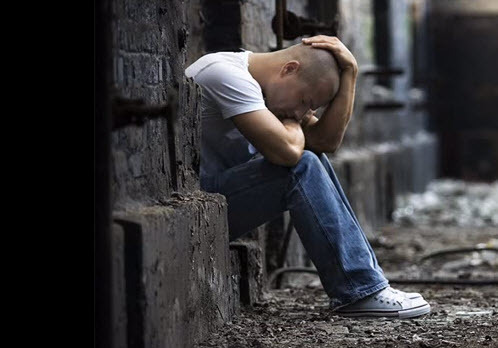 Like everyone else, he had been adversely affected by the economic downturn. He worked long shifts to pay for his children’s’ tuition. He had put his sister through medical school. Education, according to Mohammed, was the key to freedom and empowerment. They agreed. He went on to say that “Faith is what helps us to put one foot in front of the other and carry on, day after day, despite the troubles looming all around us.” And he looked into their eyes from the rear-view mirror. Everyone was silent for the rest of the ride. This is not fiction. This book is about real people and their stories – in vignette form. Hope comes to us in many guises. The important thing is that we recognize it when it does. I’m not going to add much more, because I think that the story speaks for itself. Despite all of the domino negative effects that this Recession has had on millions of families – not only in America, but around the world – there is always Hope. This is not a cliché. I can personally vouch for the authenticity of what I am saying. Image (at the very top) via thelifeweshared.com. Image (b/w of three children) via blogs.dallasobserver.com. Please feel free to share this blog with others. 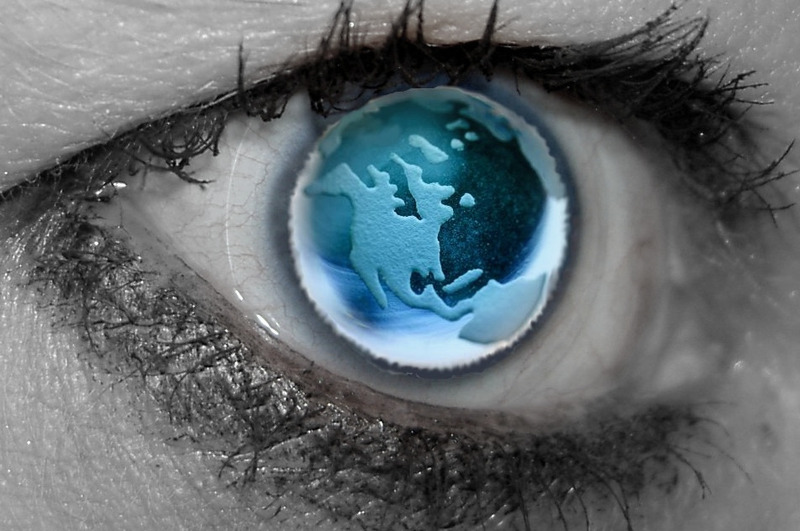 Image (eye) via teachthought.com (photo attribute – Flickr/irargerich). (Copyright © 2013 Heather Joan Marinos – All Rights Reserved). What is unique about the book, Casualties of the (Recession) Depression? Originally, I intended to write a collection of short stories, based on the real life accounts of middle-class men and women who had been (and who continue to be) adversely affected by this prolonged economic downturn. After learning about all their tribulations and triumphs, I decided that their stories would have more impact if portrayed in short vignettes or scenes. These snapshots in words capture the essence (and the rawness) of their experiences. As a reader, you get a feel for what it’s like to ― as Atticus Finch (in Harper Lee’s To Kill a Mockingbird) says ― “climb into his skin and walk around in it.” In doing so, the reader may identify with/relate to or gain insight from their experiences, as they navigate through the spectrum of emotions ― shock, sorrow, despair, relief, joy, pride, and so on. The vignettes present the reader with a canvas of scenes ranging from sweet-to-bittersweet-to-bitter, from the manic uncertainty of not knowing what to do, to the tenacious pursuit of a “Plan B” … and, of course, emphasizing the point that humor, hope and faith often help to smooth out the kinks and put things in perspective. Once the vignettes were written, I realized that it was necessary for me to clearly explain my thesis that this overextended economic downturn is a depression, and not a recession. In doing so, I categorized the vignettes by year – from 2006 to the first quarter of 2013. I then wrote an introduction to each of the years, thereby setting the historical, socio-economic and political scene (with economic and political commentary) ― to give the reader context. I believe that the book is unique because it uses vignettes (rather than short stories) and these vignettes are reinforced by the commentary which presents the context, issues, and possible solutions. Casualties of the (Recession) Depression is not an economic treatise or a doctoral dissertation. It is a very evocative, down-to-earth, mince-no-words commentary/editorial which simply seeks to highlight the human condition as relates to the economic crisis that, like a very bad cough, has proven difficult to shake off. I welcome your feedback, with thanks. Written Content Copyright © 2013 by Heather Joan Marinos. All Rights Reserved.